A&E Distribution is recalling Fjord Laks brand fish products because they may contain Clostridium botulinum bacteria if sold refrigerated. The products were sold in Quebec at the retail level. No illnesses have been reported in connection with the consumption of these products. The recalled products are all Fjord Laks brand name. All best by dates up to and including July 16, 2016 are recalled. The UPC numbers for the recalled products are variable. They include Irish Smoked Salmon in 100 gram containers, Royal Smoked Empereur Gravlax Marinated Smoked Salmon in 100 gram containers, and Smoked Rainbow Trout in 125 gram containers. 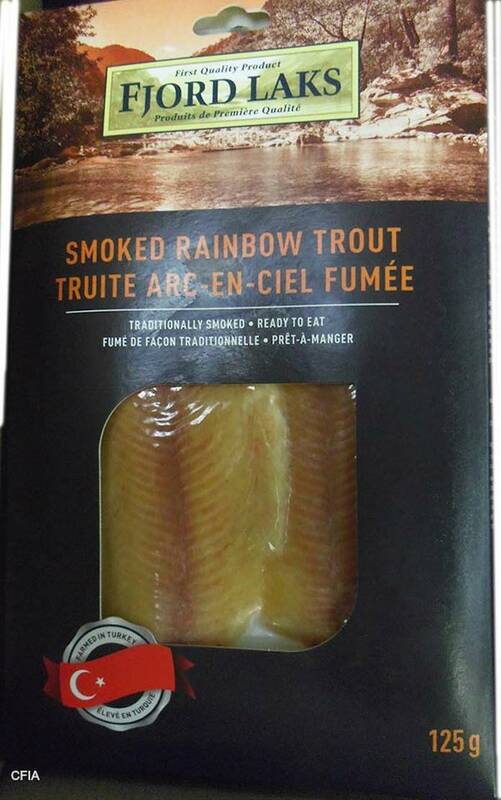 You can see pictures of the recalled products at the CFIA web site. If you purchased these products, do not eat them. Throw them away in a sealed container or return them to the store where you bought them for a full refund. The symptoms of botulism food poisoning include nausea, vomiting, fatigue, double vision, blurred vision, dry mouth, and difficulty breathing. If you experience any of these symptoms, see a doctor immediately.